How do I start learning to fly? Look at our Flight Instruction page for more information. I want to talk to somebody about learning to fly – who do I call? Contact Steve who will be pleased to tell you more. You may also want to meet with Steve and look at the training facilities – and perhaps even go for a brief introductory ride. What are the requirements for learning to Fly? 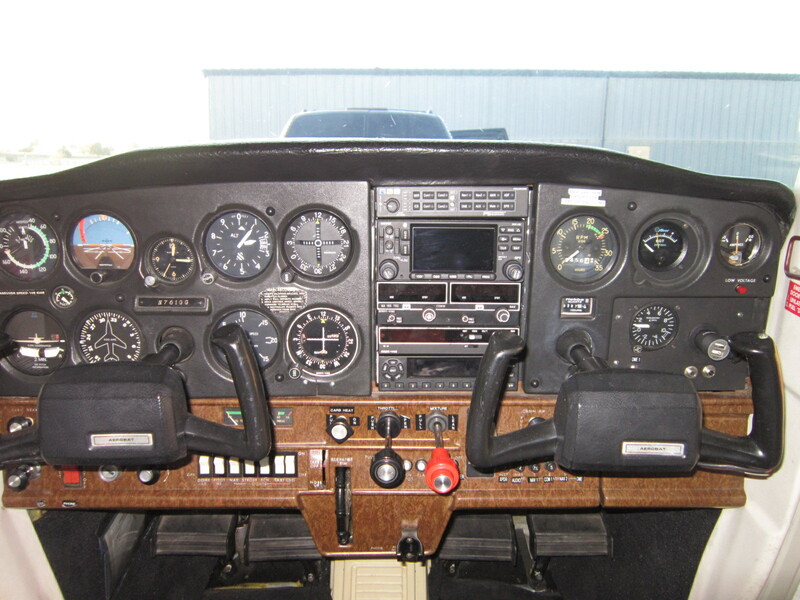 Check out our Flight Instruction and Ground Training pages for more information. The above web sites also give you information on basic requirements, such as age, need for a medical, etc. I wear glasses/contacts…can I still learn to fly? Yes – absolutely! Generally, if you can pass the driver’s eye test then you’ll likely have no problems with the vision part of the flight medical. Not hard, but it takes practice, practice, practice and structured, professional training – all of which you get when you train with Chocks Away Aviation. Does it cost a lot to learn to fly? That is a relative question. Does any specialty training or hobby cost money? Of course! But think of it as an investment – once you have a pilot’s license you can fly for as long as you can satisfy the fairly basic medical and currency requirements. Also, you may take advanced training and become a professional pilot – people will pay you to fly! I can’t afford to buy an airplane, so how do I get to fly? As an aside, most people are amazed to learn that buying a used airplane is not as expensive as they might think. You can get a nice used plane for less than a used truck! To answer the question – you can easily rent airplanes. Flight schools around the country rent-out their planes. Of course, you must have the appropriate license and medical, be current and you’ll probably have to take a “check-out” in the actual airplane, but this is quite painless! You can also rent the Chocks Away Cessna Aerobat A152 – see the Airplanes page for more information. Don’t I have to be super-fit in order to fly? Being fit is always a good idea. But, as long as you are in generally good health, you’ll likely be able to pass the basic medical examination. Put another way, if you are fit enough to drive and can pass basic eyesight and hearing tests, you should be able to fly. In order to operate as Pilot in Command, you will have to take a basic medical exam every few years, depending on your age. See these links below for more information on the medical test – to fly solo as a student pilot and later as a private pilot, you will need at least a Class-3 medical certificate. If you have a specific medical question and want to know if you will be able to fly, give Steve a call and I’ll let you have some more resources to help answer your concerns. Do I have to study to be able to fly? Yes. Being a pilot means more than just flying the airplane. To be a safe and competent pilot, you will study airplane systems, weather, airport procedures, navigation, some basic aerodynamics and other topics. To most people this is interesting and fun. Also, by having this knowledge you will get a lot more “bang-for-the buck” out of your flying lessons. At some stage during you training, and before you take the practical test- you will take a computerized knowledge test. The pass mark of 70% – but you will do much better than that if you study with Chocks Away Aviation. How do I study for the knowledge test? Check out our Ground Training page for more information. Do I have to pass a knowledge test before I can fly? No…and yes. You do not have to take the knowledge test before starting to learn to fly, nor to fly solo as a student pilot (you will however have to take a shorter “pre-solo” test). But, before you take your practical (flying) test, you will have to pass the knowledge test. Wait…there’s a practical test…what is this? Yes. In order to become a Private Pilot (and for other advanced certificates) you will have to take a “check-ride” with a pilot examiner. This is a bit like taking the driving test – you have to show that you can drive safely and that you understand the rules. This is the same in flying – you are not going to be let loose until you have proven to a designated examiner that you can fly safely and proficiently. This is not anything to worry about – when the time comes to take the test, you will be fully prepared and ready. Your instructor will simply not endorse you to take the test until you are ready. OK – I’m ready to learn to fly…where do I start? Great – you will never regret this decision! All you have to do now is call Steve on (402)200-8930 to schedule your first lesson and to go over the fundamentals – we’ll also go for your introductory flight, which counts as part of your training…you are on the way to becoming a pilot!